Prince Rupert, 1958. 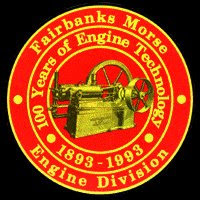 Fairbanks-Morse had responded to me in early 1958, sending me brochures on their latest product offerings. See "Reader Service Requests" listed below. 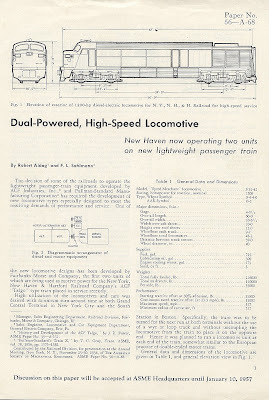 It describes two units currently (1957) in service, powering lightweight passenger equipment developed by ACF (American Car & Foundry) and Pullman-Standard Manufacturing Corporation, the famous ACF Talgo. The Talgo (Tren Articulado Ligero Goicoechea Oriol) technology was developed in Spain, and in general, constructs a passenger car to act as a pendulum, allowing it to move in harmony with track curvature at high speeds. Dual Power - The First of its kind. 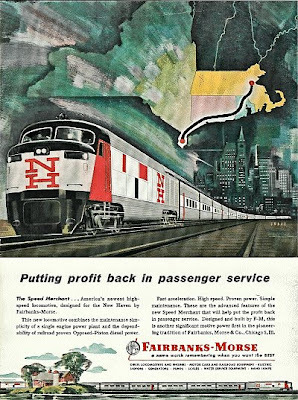 The Fairbanks-Morse Speed Merchant was fitted with a third rail pickup, to allow operation in Grand Central Station. The engineer moves the throttle handle to idle and throws a transfer switch from third-rail to diesel-electric. This disconnects the large dc motor from third rail power. When the speed of the motor-alternator set equals the engine speed, the over-riding clutch engages. The dc machine, the alternator, the exciter, and the auxiliary generator are then driven by the Opposed Piston diesel engine. Boston & Maine 1, "Talgo," Boston, June 1958. Now it wasn't until many years later that I did a little train chasing in Massachusetts (Cape Cod,) but somehow I amassed a small collection of Boston & Maine, New York Central, and New York, New Haven, & Hartford Railroad negatives. I was trading negatives with someone from my home in Prince Rupert, but there is no record on the negative envelopes as to who the individual was. But I am not going to let them molder without sharing them with you. 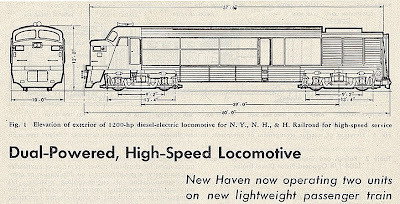 A report in TIME magazine details a demonstration run of the New Haven version of the Talgo. Before moving here, I lived in Vancouver Washington for about 20 years, and I did ride the Amtrak “Cascades” South service between Vancouver and Seattle several times. 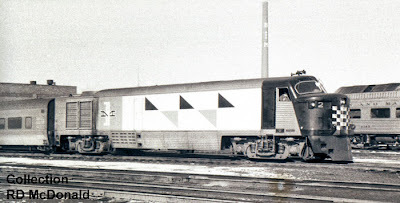 It’s a 4th or 5th generation "Talgo." I didn’t care for it at all. Like riding inside an aluminum beer can. Felt “cheap.” And noisy, with rug rats running amok in the isle, radios, DVD players and cell phone racket. 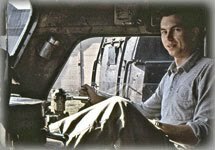 As compared to the trip my late wife and I took years ago on the Amtrak “StartLate” service from Vancouver to Los Angeles. Double deck heavy weight car. Felt safe. Secure. Firmly on the rails. Back on the “Cascades” between Vancouver and Seattle. There were only a few places where we actually went faster than the traffic on nearby I-5, so I’m not sure I got to experience that “pendulum” ride!